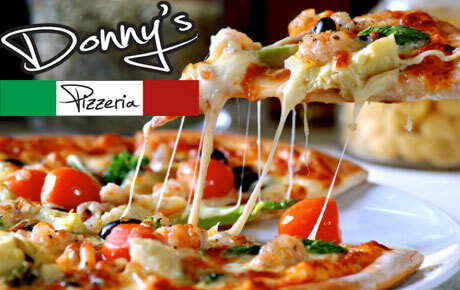 Take a break from the kitchen with this deal for 54% off an extra-large specialty pizza, an appetizer and dessert from Donny's Pizzeria in Arlington Heights ($33 value). Warm up your palate with the chicken tenders, fried ravioli or jalapeno poppers, then delve into one of Donny's many specialty pizzas, like the Mega Meat Lovers or Donny's Monster pizza. Top off your meal with deep-fried oreos or a rich and creamy slice of cheesecake.